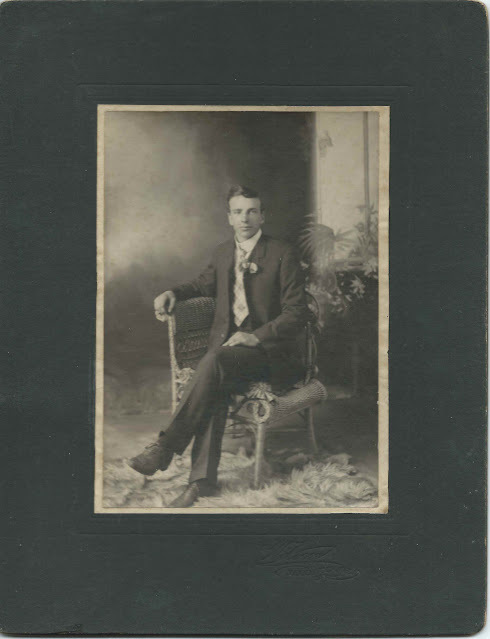 Photograph of a young man identified on the reverse as Percy Leroy Way. The photograph was taken at the Wilson studio of Woodstock, New Brunswick. Percy Leroy Way was born June 8, 1884 at Canterbury, New Brunswick, the son of John Wallace Way and Etta Olive (Hillman) Way. On July 4, 1908 at Escanaba, Michigan, Percy married Hermina White, "Minnie", daughter of Nelson White and Angeline (St. Vincent or Reno) White. The Margaret White and Maebelle White mentioned above were presumably the daughters of Minnie's brother Nelson White, Jr.
Percy, a machinist, and Minnie lived for a while in Michigan and later moved between Maine and New Brunswick. They had several children. Leroy died in 1953 and is buried with Minnie, who died in 1985, in the Hillman Cemetery Ritchie Extension at Ritchie, New Brunswick. 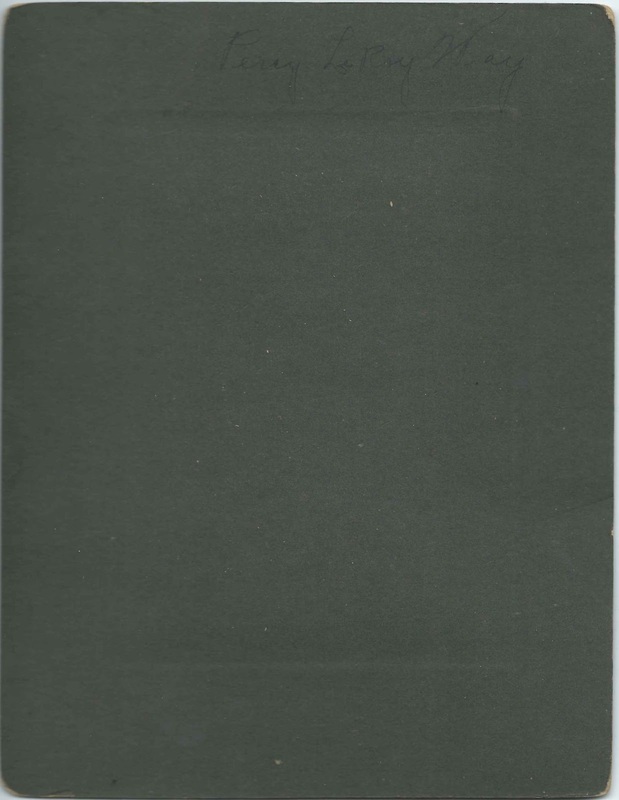 Michigan, Marriage Records, 1867-1952 - marriage of Percy Leroy Way and Hermina White, "Minnie"